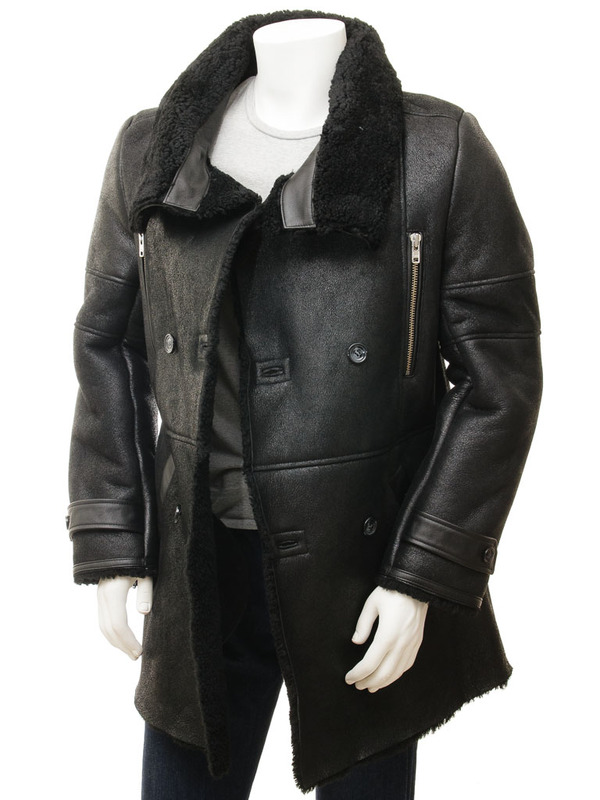 An awesome sheepskin coat in black, based on a traditional military greatcoat. 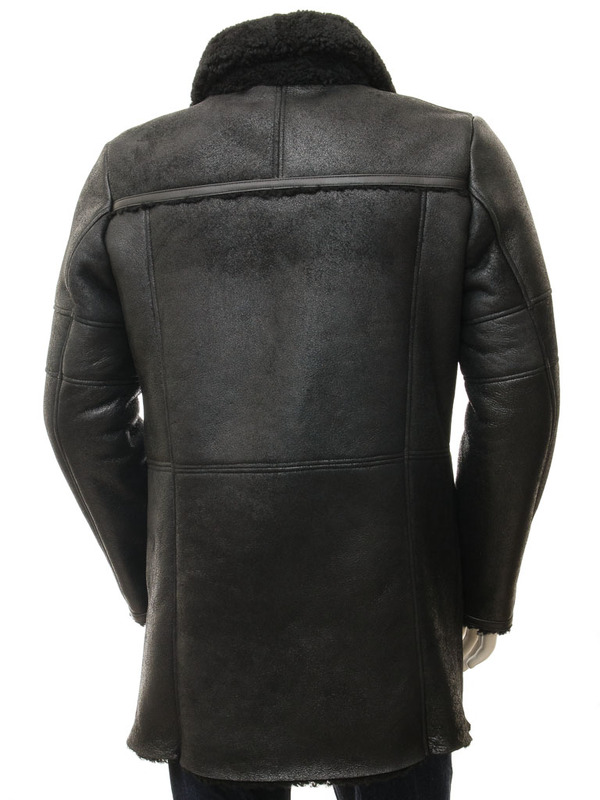 The full-grain sheepskin is substantial and fantastically warm with the woollen fleece forming the interior lining of the coat. 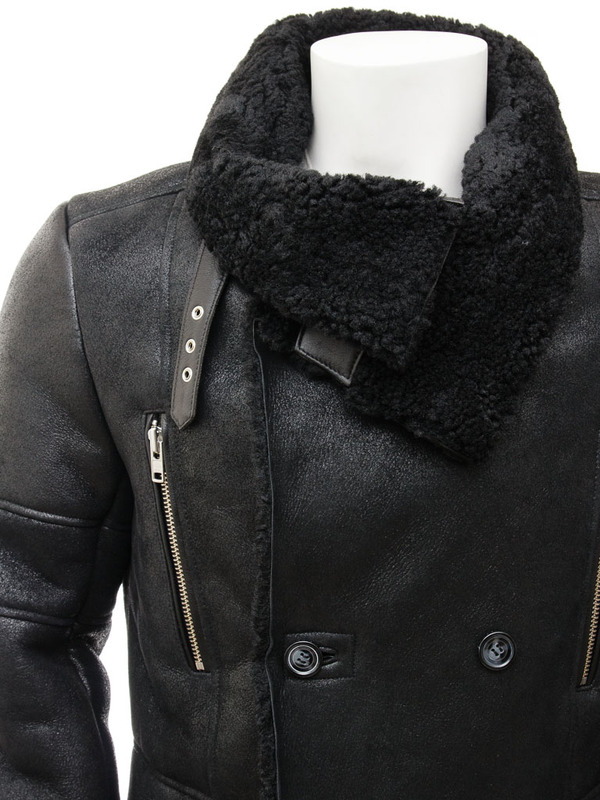 The style is doube breasted with three rows of buttons up to a high funnel neck collar that can be turned up and held in place with a buckled strap. 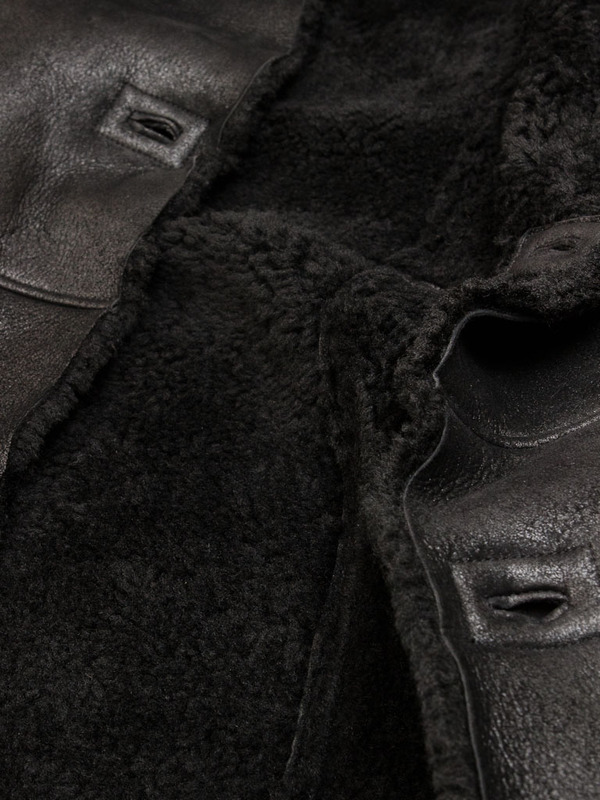 Folded down exposes the soft sheepskin interior and is a great contrast in texture to the sem-matte finished exterior. 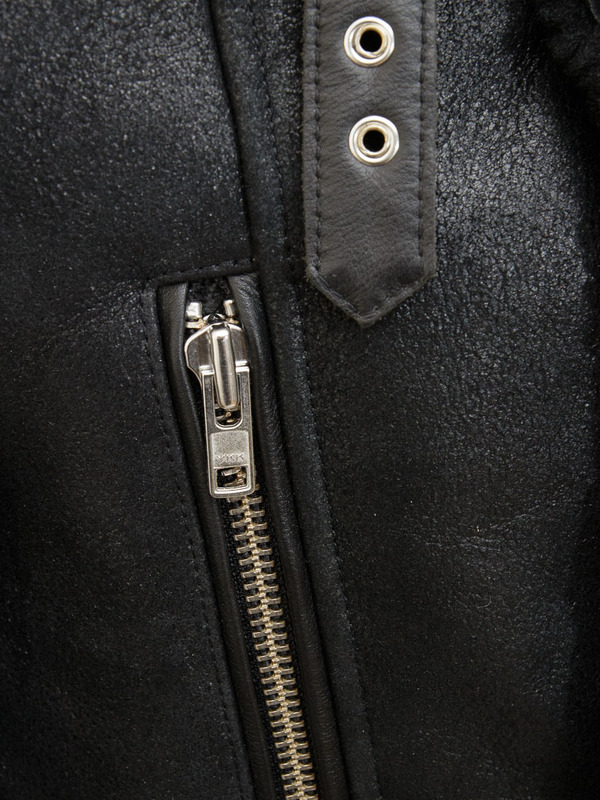 There are two vertical zipped pockets at the waist plus two angled jet pockets at the waist trimmed in nappa hide. 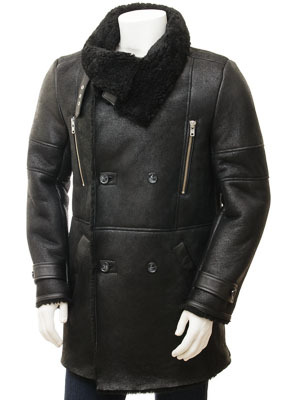 This leather trim is also used on the cuffs with a buttoned strap to reinforce the regimental inspiration for this coat.